Harbor Court was designed by Norman Lacayo FAIA, of Lacayo Architects. 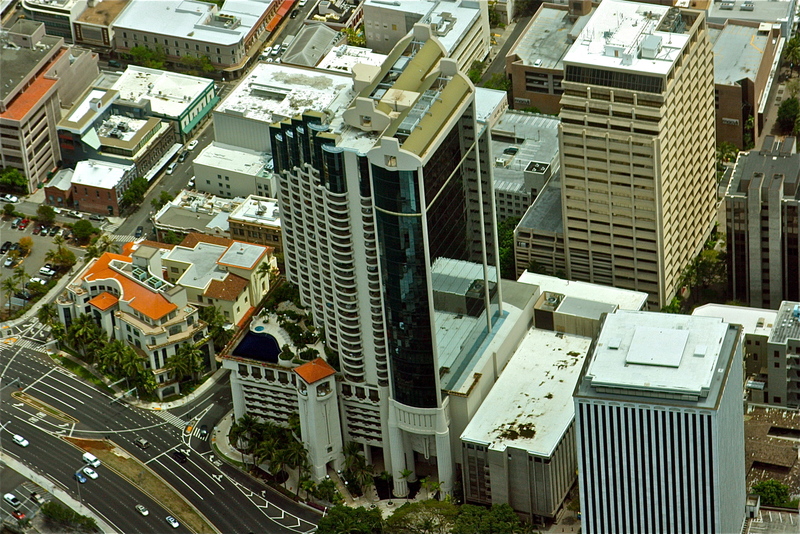 Rising 40 stories above Honolulu Harbor, it is truly a mixed-use building housing a municipal parking lot and retail and restaurant spaces in its base, topped with a split tower housing luxury condominium residences in a stepped scalloped section with an attached but distinct glass commercial office tower. I was fortunate to be involved in the document production phase as a Project Manager in charge of a team of architects and designers. Our goal was to insure the financing that was dependent on a permit issuance deadline imposed by the lender when the Japanese "bubble" was starting to deflate. The deadline was met and the financing secured. 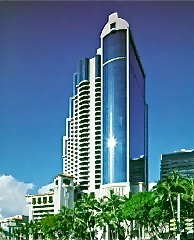 The buidling was completed in 1993 at a cost of $95 million dollars. 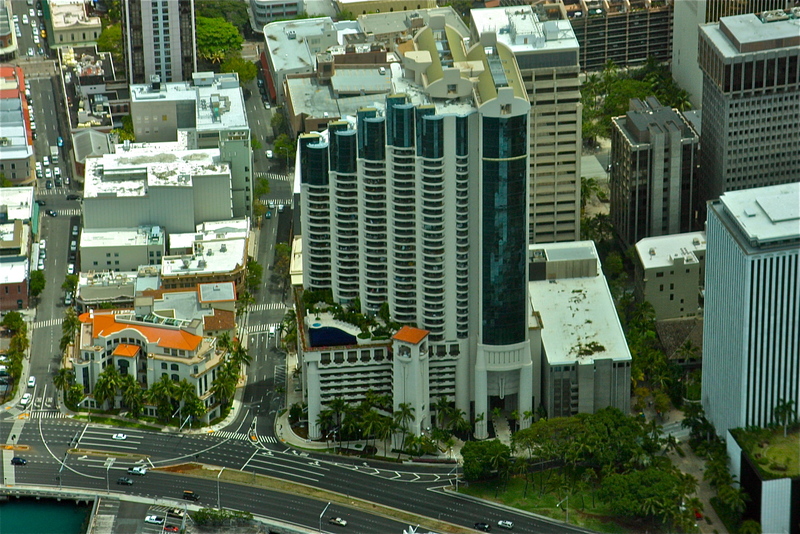 Harbor Courts whimsical design sets it apart from the more traditional building forms in the Central Business District and quickly became a prominent landmark overlooking Honolulu Harbor and the historic Aloha Tower Marketplace and cruise ship pier.